Last week, in a further example of market consolidation, the UK’s leading book retailer Waterstones bought up the Foyles bookstore business. This included the famous Charing Cross Road store, recently moved and re-furbished. 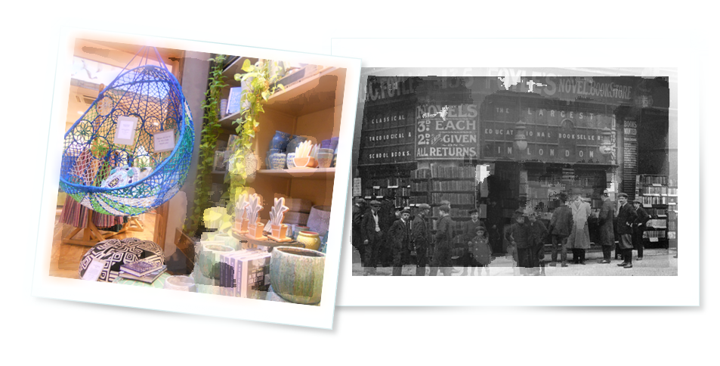 The stories surrounding Foyles are no less than retail folklore. They help to explain its survival, the re-naissance of Waterstones and the revival of many independent book shops. This is in direct competition to Amazon who, you will remember, began life as an online book retailer themselves. Nothing can compete with the price, convenience and efficiency of Amazon. However, increasingly the customer wants more than just the easiest way to buy. Book shops illustrate the charm of inefficiency, the quirkiness of individuality and the lure of eccentricity. Customers love the emotional personality this creates within a brand. In the heyday of Foyles, it was run by the equally eccentric Christina Foyle. She segmented the books not alphabetically or by subject but by publisher. Without the support of technology, which was discouraged, finding books was impossible. However, this led to an incredible treasure hunt where the customer finally bought many more books than their intended purchase which generally lay hidden still in the bowels of the assortment. Today eccentricity is celebrated in the world of books. In Marylebone High Street you can find the wonderful Daunt Bookstore. This is the oldest bespoke bookstore in London. Famously, books are segmented by geography and country. All books on Germany or the Netherlands, as examples, can be found together as a curated range bringing together subjects as diverse as history, humour, novels and the arts. The adventure of discovery is further used by Daunts, where you can pick up a wrapped parcel of mystery books. Like “tin cans without labels” the feast is in the unwrapping, the reading of new and unintended delicacies. Against the “greyness” of efficiency and the monotony of the expected, the treasure hunt is gaining ground as a re-born leisure pass-time. The clever art is to combine enough logic so as not to frustrate, with enough surprise and worthwhile discoveries to keep the customer hooked. In contrast to books the likes of TKMaxx manage this balancing act exceptionally well. The segmentation by product category and size is as logical as it gets but the diversity thereafter combined with an irregularity of price keep its core customers constantly returning for more surprises. Across all categories, brands such as Anthropology and Oliver Bonas, through the great showcases of Selfridges and Liberty to the humble and often maligned charity shop, retailers are reaping the benefits of being individual and eccentric in their own ways. Beauty is in the eye of the beholder and for many people today, beholding buried treasure is beautiful indeed. Long live diversity and the idiosyncrasies of the human spirit. How can you build eccentricity into your retail stores? How is your balance of logic and discovery in the customer journey?